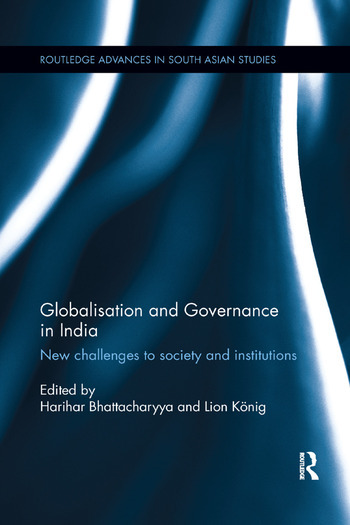 This book examines the impact of globalization on some vital aspects of Indian politics, its structures and processes, and identifies the challenges to globalization itself, in order to highlight India’s complex and fascinating story. In 1991, India officially embraced the policy of neo-liberal reforms by signing the GATT agreement, which exposed the country, its society, culture and institutions to the various forces of globalization. Globalization as such may not be new to India, for the country has been embracing the influence of external cultures and civilisations for millennia, but the post-1991 reforms policy marked a significant shift, from a predominantly social welfare state and a command economy to a predominantly market driven one. Through a range of disciplinary perspectives, the authors analyse how India’s version of secularism, communal harmony, nationhood, the public sphere, social justice, and the rights of aboriginal communities came under attack from the forces of the new dispensation. The book goes on to show how globalisation in India has posed fresh challenges to political economy, democracy, federalism, decentralization, parliamentary system, judiciary, and the parliamentary Left. Critically reflecting on themes in the context of India’s globalisation that are local, regional, national and global, this book will be of interest to those in the fields of South Asian Politics, Globalisation, and International Relations. Harihar Bhattacharyya is Professor of Political Science and Head of the Department of Political Science, The University of Burdwan, India. Lion König is Adjunct Faculty at the Centre for Culture, Media and Governance, Jamia Millia Islamia, New Delhi. He is the co-editor of the book, The Politics of the 'Other' in India and China: Western Concepts in Non-Western Contexts, published by Routledge (2015).